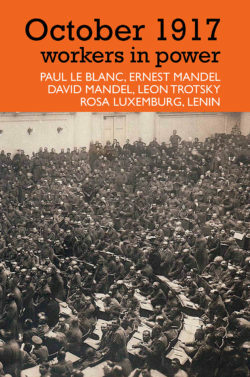 Authors: Paul Le Blanc, Ernest Mandel, David Mandel, François Vercammen, and contemporary texts by Rosa Luxemburg, Lenin, Leon Trotsky. Published together with Merlin Press and Resistance Books, our new book is a collection of new and classic essays examining the impact of the October revolution. Paul Le Blanc discusses recent scholarship and debates on the revolution, considering 'what went wrong'. In 'October 1917: Coup d'état or social revolution? ', Ernest Mandel analyses the events, defending the legitimacy of the Revolution and drawing out lessons for contemporary socialists. David Mandel draws on Russian-language archives to reconstruct developments from below. Other texts by François Vercammen and David Mandel give a historical backdrop for readers who are not necessarily familiar with the chronology of the events. Finally, short texts by Lenin, Trotsky and Rosa Luxemburg give the views of communist leaders of the time. The book costs 20 euros plus postage and be ordered from our store. “October 1917: Workers in Power” provides a stimulating starting-point for centennial reassessment of the Russian revolution. Paul Le Blanc provides a sparkling and authoritative survey of major historical studies; David Mandel expertly analyses workers’ control in the Russian upheaval. Classic assessments of the October upheaval by Lenin, Luxemburg, Trotsky and more recently, Ernest Mandel round out this important addition to socialist literature on 1917. John Riddell, editor of eight-volume documentary series on the world revolutionary movement in Lenin’s time and ecosocialist activist. For an objective study of 1917, not uncritical, but firmly rooted in the revolutionary tradition, this book can be unhesitatingly recommended. Soma Marik, author of Revolutionary Democracy: Emancipation in Classical Marxism, Haymarket and IIRE (forthcoming, 2017). This collection, containing both texts by participants and retrospective historical analyses, defends the achievements of the Revolution while honestly recognizing its limitations, and will stimulate informed discussion. This is an important collection celebrating the legacy of the Russian Revolution in its centenary year. Paul Le Blanc’s Introduction provides rich historical context for past events. But the book is really about the future. It is an effort to nourish the lessons of past such that they may irrigate new struggles of the future. Tithi Bhattacharya, Professor of History, Purdue University; editorial board member, International Socialist Review. A fascinating and unexpected collection of materials that shine a needed light on the workers revolution of 1917. All in all, a spirited defence of the October revolution at a time when many people would like to forget all about it. Lars Lih, author of Lenin Rediscovered: What is to be Done? in Context, Haymarket 2008. 'Marxism, Science and Nature' with Joost Kircz on 'Science: model, icon, and the subjective factor'. 'What constitutes a Marxist approach to science?' with Joost Kircz on '4 ways of dealing with science and Marxism in the 21st century'. 'Marxism, sexuality and politics' with Peter Drucker on 'Shifting Boundaries: Europe, heteronationalism and homonationalism in political economy and history'. 'Marxism and Labour' Marcel Van Der Linden 'Global labour: a not so grand finale and perhaps a new beginning'. The book launch of 'The Politics of Everybody: Feminism, Queer Theory, and Marxism at the Intersection' with Peter Drucker. Roundtable ion the Marxism/Feminism Stream; 'Social Reproduction Feminism. 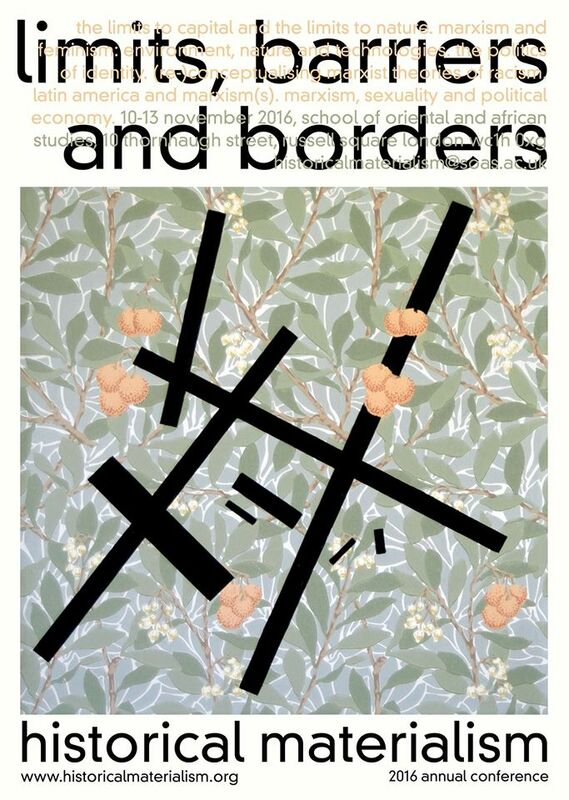 HISTORICAL MATERIALISM SPECIAL ISSUE, 24.2 with Sara Farris. IIRE fellows are also chairing different meetings such Sara Faris for the meetings on 'Marxism and Turkish politics' and 'Women’s Work, Violence, Re/Production'. The full programme can be found on the Historical Material website conference website. Call for Travel Fund support! In less than two months, we will again have our annual Ecosocialist School. This school is a unique opportunity for activists to come together, learn, exchange experiences and build networks. But organising such an event is expensive. We try to keep participation costs as low as possible and in addition to that we help cover the travel costs of people from the Global South. 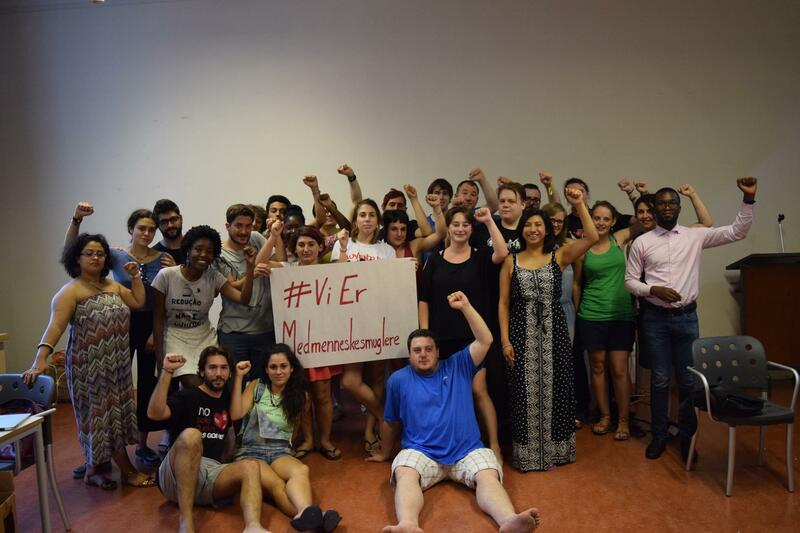 Right now, we are finalizing our participants’ list for the Ecosocialist School 2016 (18 November-9 December). We have applications from Sri Lanka, Philippines, Indonesia, Papua, Congo, Argentina, Germany, France, USA, Lebanon, Denmark, and Venezuela. This years’ youth school involved 23 participants from 13 countries. It clearly showed us that the more varied the experiences of the participants, the richer the discussions are. We would like to keep the school as diverse as possible. However, airfares are far above the budget of our participants from the Global South. That’s why we make this call for donations for the travel expenses of the participants from the Global South. We especially need aid for participants from Sri Lanka, Indonesia, Philippines, Venezuela and Lebanon. Any amount will help us. If you wish, you can specify the country of the participant you want to support. You can find the practical information here. Please earmark your donations as ESS Travel aid. Many thanks! This summer the IIRE had two very successful international activities. From 6 to 10 of August, we organized the sixth LGBTIQ strategy seminar. These seminars are spaces for radical left LGBTIQ liberation activists to develop theory and strategy. This year's seminar was especially focused on issues of pink-washing and homo-nationalism, the use of (rhetorical) support for LGBTIQ rights to whitewash imperialism and nationalism. We had participants from Lebanon, Britain Palestine, Brazil, Mexico, Indonesia, Australia, Portugal, France, and the Netherlands. Shortly after the seminar, we had our year ly Youth School from August 17 to August 28. This course is intended for younger left-wing activists to give an intensive introduction to socialist politics and theory. In earlier years, the school was more focused on Europe but in recent years, we have more and more non-European participants. 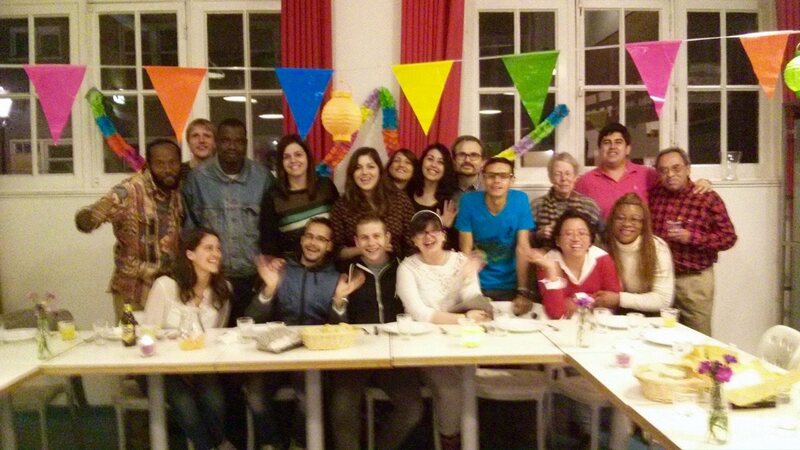 This year, we had 26 participants from Brazil, Mexico, France, Belgium, Mozambique, Morocco, Denmark, Germany, Lebanon, Sweden, Tunisia, Britain, and Spain. 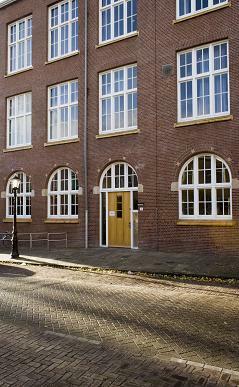 This was also the first youth school with a majority participation of women. The participants evaluations of both activities were very positive. The LGBTIQ seminar was a step forwards in developing a common understanding of such concepts as homonationalism and to think about the difficulties of sexual liberation in times when 'LGBT rights' are so often abused as justifications for war, occupation and for claims of 'cultural superiority'. The seminar is expected to lead to published articles and deepened links, especially with activists in the Arab region. Participants in the Youth School especially appreciated the international character of the 10 days course, saying it gave them new perspectives and enabled them to learn things they would not be able learn at home. Both activities are organized on tight budgets. Interpretation is done by volunteers and participants take care of tasks such as cooking and cleaning the building while they are here. This allows us to keep participation fees to a minimum to make participation easier for everyone. Another essential source of income for us are donations, either ones that are earmarked for a specific activity, such as a school or seminar, or general ones that help us pay the daily costs of our maintaining our facilities. We especially want to thank our supporters for their support to our work. L'Institut International de Recherche et de Formation (IIRF) offre des possibilités de recherche et de formation pour des militants et des chercheurs dans le monde.en trois endroits: Amsterdam, Islamabad et Manila. editor Fred Leplat & Alex de Jong Authors: Paul Le Blanc, Ernest Mandel, David Mandel, François Vercammen, and contemporary texts by Rosa Luxemburg, Lenin, Leon Trotsky. Published by by Merlin Press, the IIRE and Resistance Books.